CareNet Counseling East is a compassionate, spiritually-integrated and community-based care organization affiliated with Wake Forest Baptist Health. As one of eight regions in the CareNet Counseling family, our three clinics are committed to improving the mental health of our region and the counties we serve, including: Beaufort, Bertie, Camden, Chowan, Craven, Currituck, Dare, Duplin, Edgecombe, Franklin, Gates, Greene, Halifax, Hertford, Hyde, Lenoir, Martin, Nash, Northampton, Pasquotank, Perquimans, Pitt, Tyrrell, Vance, Warren, Washington, Wayne and Wilson counties. 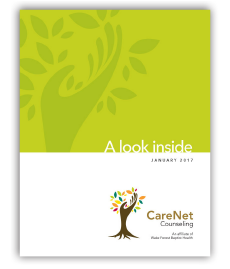 CareNet provides health and hope for those facing personal struggles, the loss of a love one, career concerns and much more. We want to help you on your journey toward a more abundant life. We deliver specialized, spiritually-integrated care, education, training and consultations for a variety of mental health issues through the compassionate presence of professionally trained, state licensed and certified professionals. In an effort to stem the rising tide of suicide in the area, CareNet Counseling Inc. and CareNet Counseling East are bringing Soul Shop to our community. Soul Shop is a suicide prevention training program and includes a daylong training session specifically designed to train church leaders, clergy, program staff, lay ministers, office staff and faith-based therapists to detect the signs of someone contemplating suicide and possibly save their life. Additionally, Soul Shop trains church leaders how to minister to surviving family members after a suicide. 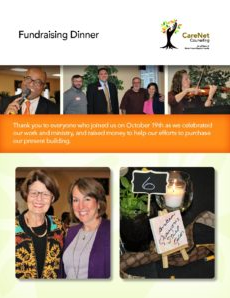 Thank you to everyone who joined us on October 19th as we celebrated our work and ministry, and raised money to help our efforts to purchase our present building. Click here to see pictures from the event. For over 17 years, the clinicians at our Eastern region have been providing spiritually-integrated psychotherapy to individuals in the eastern part of our state. Currently, our clinics are located in Greenville, Rocky Mount and Kinston. We are excited to share that this fall we will be opening a new satellite location in Greenville at the Third Street Education Center, 600 West 3rd Street. Throughout the year, we host and co-host a variety of highly informative presentations and talks on various topics in mental health. Contact us to request availability and fees for workshops tailored to your needs. What Can I Do About Mental Health Stigma? This 8-hour training class teaches participants how to help someone who is developing a mental health problem or experiencing some type of mental health crisis. The evidence behind the program demonstrates that it helps trainees identify, understand and respond to signs of mental illnesses and substance use disorders. From teaching you to recognize the signs of addictions and mental illnesses to learning more about the impact of mental and substance use disorders, you’ll leave with a 5-step action plan that will help you confidently assess possible challenges, identify local resources and know where to turn for help. 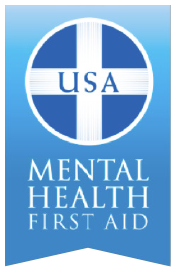 This class is offered by our regional director, Janie Taylor, certified MHFA instructor. Call us to enroll in Janie’s next class. Janie Taylor is a Licensed Marriage and Family Therapist and an American Association for Marriage and Family Therapy Approved Clinical Supervisor. She is a graduate of East Carolina University where she earned a Ph.D. in medical family therapy and a Master of Science in marriage and family therapy. She also graduated from Liberty University with a Master of Arts in counseling. Grounded in systems theory, Ms. Taylor addresses issues from a relational systemic perspective through the incorporation of a biopsychosocial-spiritual approach, often by means of an experiential technique. She works with all populations but specializes in providing couple and family therapy, premarital counseling, Prepare/Enrich, family of origin issues, as well as psychotherapy with families experiencing a medical illness, trauma and disability. She also feels great compassion for those involved in ministry and caregiving. She has worked extensively with youth and young adult groups in a variety of settings, including churches, camps, residential group homes, university classrooms and national presentations. She is skilled in collaborative work with larger systems. Ms. Taylor has presented nationally on stress, family of origin issues, grief and loss, as well as innovative therapeutic techniques and opportunities for therapists in medical education. She has done research in the areas of spirituality and parental coping with the loss of an adult child, as well as various aspects of spiritual care provision within medical settings. Her areas of interest include spirituality, wholeness and balance, forgiveness, cultural competence, stress and caregiving, especially among those in ministry. She strives to bring healing to that which is broken. She enjoys life, delights in laughter and seeks to radiate joy wherever she is. 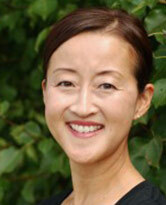 Esther is a graduate of Vanderbilt University where she earned a Master of Education in 2004. She has also earned a Doctor of Ministry from Chicago Theological Seminary in 1998, a Master of Divinity from Princeton Theological Seminary in 1996 and a Bachelor of Arts from Purdue University in 1993. She is also ordained in the Presbyterian Church (USA). Esther is a Licensed Professional Counselor and pastoral counselor. She completed her pastoral counseling residency at the Pastoral Institute in Columbus, Georgia and served as a pediatric hospital chaplain at the University of Chicago Hospitals. Drawing upon an array of theoretical approaches like person-centered, existential and cognitive-behavioral, she enables individuals to address issues from a holistic perspective, incorporating physiological, spiritual, cultural and family of origin issues. Offering counseling to adults, adolescents, couples and families, she specializes in treating mood disorders; substance abuse issues; individuals struggling with identity; grief and loss; self-care; and women’s issues. During the past twelve years, Esther has also worked extensively with adults dealing with substance abuse and is certified as a Master’s Addiction Counselor (MAC) through the National Board of Certified Counselors. She is also certified as a Substance Abuse Professional. As a pastoral counselor, she seeks to integrate values and models of reality informed by faith into the growth and healing process. Ellen Walston is a clinical social worker that provides counseling services to adults, children, individuals, couples and families at CareNet East in Greenville. She specializes in grief, caregiver stress, end of life care, geriatrics, critical incident stress debriefing, coping with chronic illnesses, family stressors, stress management, substance abuse and effective parenting. 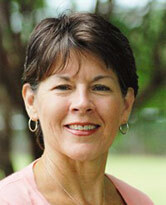 Ellen is a knowledgeable group facilitator and international presenter. 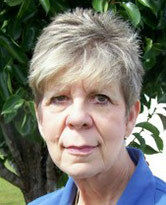 She was an oncology social worker for the Leo W. Jenkins Cancer Center at Pitt County Memorial Hospital for 14 years. Ellen has been an active member of the Association of Oncology Social Work and has served as Past-President of the Social Work Oncology Group of North Carolina. She is currently the child safety coordinator for the Eastern Carolina Injury Prevention Program at Pitt County Memorial Hospital. David is a Pastoral Counselor and a Licensed Marriage and Family Therapist. He is a graduate of Campbell University in 1990 with a Bachelor of Art in religion, and Southern Seminary in1997 with a Master of Divinity in pastoral counseling. His internships were at St. Matthews Pastoral Counseling Center in Louisville, KY and at Parkview Psychiatric Services in Jeffersonville, IN. He was ordained into the Gospel Ministry in 1997 and has served as Minister of Music and Worship Arts, as well as Adult Ministries Pastor. David provides a total of 23 years of experience in the mental health field, including: 12 years working on inpatient psychiatric units; seven years working with children, teens and their families in a group home setting; and five years of experience in private practice. Additionally, David is a Certified Clinical Hypnotherapist with the International Certification Board of Clinical Hypnotherapists. He also has a certification in bariatric hypnotherapy, which is hypnosis for weight loss, and he is a certified tobacco cessation treatment specialist. Offering counseling to individuals ages six and up, David asserts that the therapeutic process is one that hopefully includes collaborative effort by all involved parties. He works with an individual, couple or family to set specific, measurable and time sensitive goals so that progress can be clearly measured. David uses a cognitive-behavioral therapy model that is strongly influenced by the structural family therapy process. He enjoys working with individuals who have difficulties with mood, anxiety, adjustment to life changes, partner relational problems, parent-child relational problems and spiritual issues. To relax, David enjoys playing music, playing golf and spending time with his family. 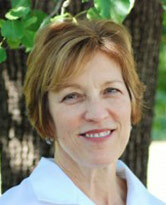 Louise Hudak is a Licensed Clinical Social Worker. She trained in the behavioral health unit at Vidant Medical Center in Beaufort County as well as the Lenoir County Migrant Education Program. Louise has worked with youth and their families through intensive home-based therapy and multisystemic therapy. Her most recent experience includes more than two years providing hospice support to patients and their families facing terminal illnesses. Her eclectic style incorporates relational and narrative theories, as well as cognitive-behavioral therapy, in order to work towards healing through positive change with the individual and the larger context of the social environment. She provides counseling related to aging, end-of-life issues, grief and loss, anxiety, depression, marriage and family, trauma and life adjustments. Louise also provides consultation and assessment to older adults and their families on long-term care planning, community resources and coordination. 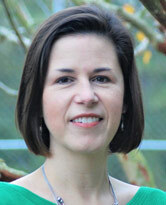 Louise attained her bachelor’s degree and Master of Social Work from East Carolina University. 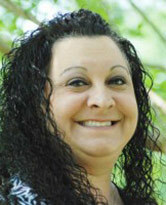 She is active in the National Association of Social Workers and the End of Life Care Coalition in Greenville. Anita graduated from East Carolina University in 1983 with a Bachelor of Science in nursing and worked for 31 years as an RN at Vidant Medical Center. She retired in December of 2015 and graduated from the Marriage and Family Therapy program at East Carolina University in May 2016. 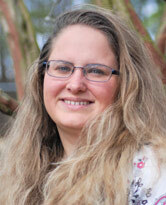 She is currently a resident in the spiritually-integrated psychotherapy program at Wake Forest Baptist Medical Center and works with clients at CareNet Counseling East. Her work as an inpatient pediatric nurse and later as a nurse case manager with the Medicaid population created an interest in the systemic nature of families. She views individuals and families through a biopsychosocial-spiritual lens. She attempts to incorporate all areas of a person’s being into the therapeutic process. Anita works with individuals, couples and families. 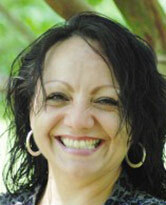 Yarima is a bilingual (Spanish & English) and bicultural Licensed Marriage and Family Therapist. She graduated from East Carolina University with her master’s degree in marriage and family therapy and has been a practicing clinician since 2008. Yarima strives to be an instrument of hope and healing. She highly values, believes and promotes the strengths of each individual and admires their ability to use their internal and external resources to change, grow, create, hope and heal. In her work, she incorporates strength-based, emotional attachment, cognitive-behavioral therapy and biopsychosocial-spiritual approaches. She has experience in and enjoys working with individuals, couples, children and families of all ages, backgrounds, ethnicities, socioeconomic statuses and belief systems. Her clinical experience includes helping in areas of depression, anxiety, trauma, low self-esteem, self-harm, stress management, self-care, spirituality, healthy weight loss/living. She has additional experience in areas of chronic pain, end-of-life-issues, caregiver and leadership stress, grief and loss (including miscarriages and stillbirths), divorce and blended families. Hispanic community: Helping with various challenges such as: cultural transitions, self-identity, cultural gaps, intergenerational and bicultural challenges, issues of discrimination, isolation, depression, anxiety, domestic and substance abuse, limited resources, language barriers, economic hardships, separation from family, spirituality and the painful effects of deportation on the family system. Women’s well-being: Promoting healthy relationships with self and others by enhancing self-esteem, acceptance, love and compassion, as well as assisting in healing of sexual wounds, beliefs, fears, habits or addictions that may stem from a history of sexual and emotional abuse experienced earlier in life. Yarima es una Terapeuta Familiar bilingüe y bicultural. Ella se graduó de la Universidad de Carolina del Este con su Maestría en terapia matrimonial y familiar y ha estado practicando desde el 2008. Yarima se esfuerza para ser un instrumento de esperanza y restauración. Ella valora, cree y promueve la fortaleza de cada persona y admira su habilidad de usar sus recursos internos y externos para cambiar, crecer, crear, creer y sanar. En su trabajo, ella incorpora varias estrategias de terapia como el uso de la fuerza interior, apego emocional, CBT (Terapia Cognitiva Conductual), y el modelo biopsicosocial y espiritual. Ella tiene experiencia y disfruta trabajar con individuos, parejas, niños y familias de todas las edades, culturas, estados económicos y creencias. Su experiencia clínica incluye áreas de depresión, ansiedad, trauma, baja autoestima, auto-lastimar, manejo del estrés, cuidado a sí mismo, espiritualidad, y saludable pérdida de peso/vida saludable. También, tiene experiencia en áreas de dolor crónico, cuidados de fin de vida, estrés de cuidadores y líderes, duelo/pérdida (incluyendo aborto natural y muerte fetal), divorcio y familias políticas. Comunidad Hispana: Ayuda de varios retos y dificultades como las transiciones culturales, conflictos de identidad, diferencias culturales, dificultades intergeneracionales y biculturales, discriminación, aislamiento, depresión, ansiedad, abuso domestico, abuso de sustancias, recursos limitados, barrera idiomática, dificultades económicas, espiritualidad, separación familiar y los efectos dolorosos al sistema familiar por hechos de deportación. Bienestar de la mujer: Promoviendo relaciones saludables con sí misma y con otros por medio de autoestima saludable, amor, compasión, y aceptación propia También asistiendo a sanar heridas sexuales, creencias, miedos, hábitos o adicciones que pueden provenir de una historia de abuso sexual y emocional. Steve is a Licensed Professional Counselor and is a graduate of Liberty University, where he earned a Master of Arts in 2013 after completing his undergraduate studies in psychology at East Carolina University in 1985. 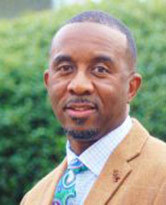 He comes into practice with a broad background in human services, management and ministry. He has been involved in both behavioral health and servant ministry for over 30 years prior to coming to CareNet Counseling East. Throughout his personal and professional career, Steve has developed a patient demeanor in interacting with others and believes that counseling should be conveyed in that same manner. His clinical journey has afforded him valuable experiences in counseling individuals facing a variety of behavioral, emotional and substance-use issues. While he has a genuine concern to support others through some of life’s basic and everyday challenges, particular areas of interest for him are helping with stress management, premarital, marital, anxiety, depression and men’s issues. Steve is committed to values that begin with a healthy sense of self and a commitment to faith and family. He believes that changed lives, longings and discoveries come within the context of a trusting and supportive working relationship. As such, his counseling approach is based upon redecision therapy, solution-focused therapy, cognitive-behavioral therapy and a biblical worldview. Steve’s conviction is that life is meant to be more than just nominal; rather, it should be seen as unique and special, and lived by such design. A licensed professional counselor associate, Betsy graduated from Mercer University in Atlanta, GA, in May 2017 with a dual degree, M.Div. and M.S. in Clinical Mental Health Counseling. She graduated with a B.A. from Mercer University in Macon, GA, in 1996. She is an ordained Baptist minister, having served on church staff at Second Baptist Church in Little Rock, AR, for fifteen years, both as a youth minister and minister of spiritual formation. She completed her internship at the Atlanta Center for Eating Disorders, leading therapy groups and working with individuals struggling with diagnoses including eating disorders, anxiety, depression, and OCD. She is currently a resident in the spiritually integrated psychotherapy program at Wake Forest Baptist Medical Center and works with clients at CNCE. Betsy works with adults, adolescents, and children. Her areas of interest include depression, anxiety, eating disorders, grief and loss, stage of life transitions, and self-care. In her practice, Betsy integrates mindfulness, person-centered, cognitive-behavioral, and spiritually-integrated approaches. Betsy serves clients in our Greenville location. 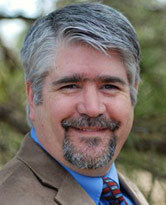 Chandler Baggett is a Licensed Professional Counselor Associate (LPCA). She has a Master of Arts in Clinical Mental Health Counseling from Moody Theological Seminary. Chandler also holds a Bachelor of Arts in Bible and Intercultural Studies from Moody Bible Institute. Chandler works with a wide variety of clients (children, youth, adults, couples, and families) on issues such as depression, anxiety, PTSD, divorce, social functioning, addictions, and non-suicidal self-injury. Her work with families has included aiding in the grieving process, navigating divorce, understanding issues such as Autism Spectrum Disorder and the effects of trauma, as well as addressing conflict within the family dynamic. She has also counseled couples dealing with conflict and communication issues, infertility, infidelity, and provided basic premarital counseling. 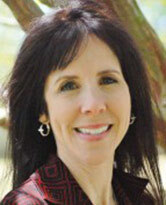 Therapeutically, Chandler is typically eclectic, employing a combination of CBT techniques, as well as strategies drawn from narrative, existential, analytical, reality, and art therapies, as well as motivational interviewing and spiritual counseling. Chandler has had the opportunity to work with many clients who have desired to incorporate spirituality into their therapeutic process. During those times, she relies heavily on her strong background in Bible, and her years of Theology and Intercultural Studies at Moody Bible Institute. We are supported by an advisory board of prominent faith, business and professional leaders. Our board of directors members are listed below, including their professional affiliation. Remember, it’s because of donations from organizations, service clubs, corporations, foundations and individuals like you, that we’re able to provide these critical counseling services for the communities we serve here in the Eastern Region. We always need volunteers to serve on our board and committees, as well as help at the center and at events. If you are interested in volunteering please contact, Center Director, Janie Taylor jjtaylor@wakehealth.edu at or 252-355-2801. Sponsors are critical to our mission and the continued success of our fundraising events. If your company or organization wishes to sponsor us, please contact us at officemanager@careneteast.org. CareNet clinicians and Staff strive to help individuals move from a hopeless endurance to living. 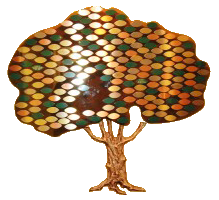 Securing a leaf on CareNet Counseling Central Piedmont’s Giving Tree allows you to thank, honor, recognize, and/or memorialize the person(s) of your choice. You can say, “Thank you!”, “You are appreciated,” or memorialize someone by making a minimum gift (per leaf) of $100 to us. Your tax-deductible gift also helps to assure hurting individuals find hope and healing. Checks should be made payable to CareNet Counseling Central Piedmont. Thank you, CareNet team – You gave me my life back!